Ordering via tablets is making its way into restaurants and the quick serve industry, and it has proven successful. Panera is one that a tablet was recently spotted - after watching customers, it seemed that customers were receptive to the concept and turned to the tablet to place orders versus waiting in line. The system allows customers to place their order without waiting in line. After their meal, the receipt is sent to the customer via email, and a quick feedback survey consisting of three questions is included. This is a great example of how Panera is making the most of the tablet technology. In sit down restaurants, the increased sales and tips are being realized. According to a recent study, the use of tablet ordering cuts the meal time by seven minutes - not only is this more efficient for guests, but it also allows for tables to be turned over more quickly. 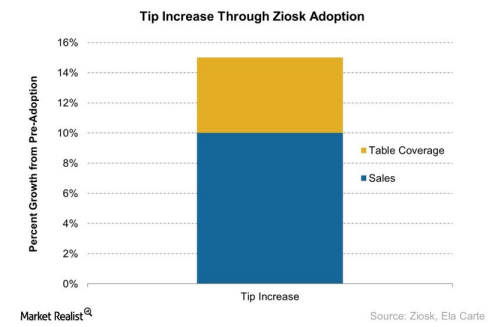 For servers, that is good news: more tables can result in higher tips. To add to the increased efficiency and resulting guest satisfaction, tablet based ordering can take things to the next level with restaurant guests, if tablet based consoles are used to their maximum potential. For example, the Customer Engagement Console allows for a robust program that can incorporate customer feedback, encouragement to sign up for loyalty programs, and a gateway for guests to join the restaurant on social media while they're still at their table. Throw in a feedback survey and restaurants have a quick, efficient way to truly engage with the customer on various levels while ensuring customer satisfaction and loyalty. Technology is making improvements for the restaurant industry. While retailers may be a bit slower to adapt to the tablets in their locations, I anticipate that this will increase significantly in 2014. If you want to know more about how a modern customer loyalty program would work for you, drop me a line on LinkedIn.